Should You Invest in St. Jude Medical, Inc. (STJ)? 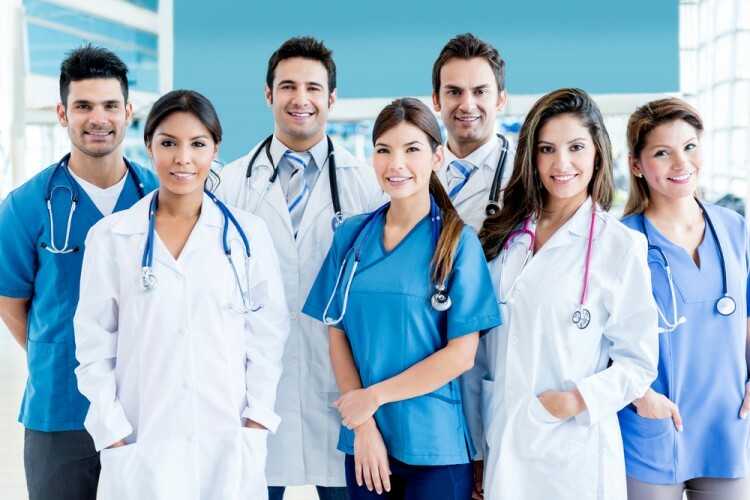 Is St. Jude Medical, Inc. (NYSE:STJ) a good stock to buy right now? We at Insider Monkey like to examine what billionaires and hedge funds think of a company before doing days of research on it. Given their 2 and 20 payment structure, hedge funds have more resources than the average investor. The funds have access to expert networks and get tips from industry insiders. They also have numerous Ivy League graduates and MBAs. Like everyone else, hedge funds perform miserably at times, but their consensus picks have historically outperformed the market after risk adjustments. More recently the top 30 mid-cap stocks (market caps between $1 billion and $10 billion) among hedge funds delivered an average return of 18% during the last four quarters (S&P 500 Index funds returned only 7.6% during the same period). 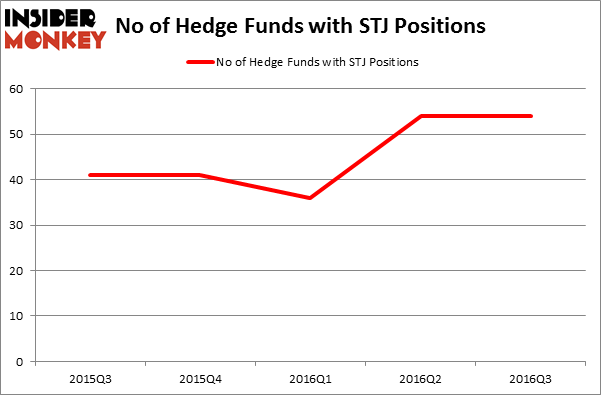 St. Jude Medical, Inc. (NYSE:STJ) shares haven’t seen a lot of action during the fourth quarter and, overall, the hedge fund sentiment was unchanged. The stock was in 54 hedge funds’ portfolios at the end of the third quarter of 2016. However, the level and the change in hedge fund popularity aren’t the only variables you need to analyze to decipher hedge funds’ perspectives. A stock may witness a boost in popularity but it may still be less popular than similarly priced stocks. That’s why at the end of this article we will examine companies such as Discover Financial Services (NYSE:DFS), Corning Incorporated (NYSE:GLW), and Mylan Inc. (NASDAQ:MYL) to gather more data points. Keeping this in mind, we’re going to take a peek at the recent action surrounding St. Jude Medical, Inc. (NYSE:STJ). How have hedgies been trading St. Jude Medical, Inc. (NYSE:STJ)? At the end of September, 54 funds tracked by Insider Monkey were long this stock, unchanged over the quarter. With hedge funds’ positions undergoing their usual ebb and flow, there exists a select group of notable hedge fund managers who were upping their holdings significantly (or already accumulated large positions). Of the funds tracked by Insider Monkey, Thomas Steyer’s Farallon Capital holds the number one position in St. Jude Medical, Inc. (NYSE:STJ). Farallon Capital has a $728.2 million position in the stock, comprising 10.6% of its 13F portfolio. Sitting at the No. 2 spot is Clint Carlson’s Carlson Capital, with a $213.4 million position; 2.7% of its 13F portfolio is allocated to the stock. Other peers that are bullish consist of Dan Loeb’s Third Point, Alec Litowitz and Ross Laser’s Magnetar Capital, and Phill Gross and Robert Atchinson’s Adage Capital Management. Is It Time to Buy Ultra Clean Holdings Inc (UCTT)? Smart Money Thinks So. Is Cabot Corp (CBT) A Good Stock to Buy? Vince Holding Corp (VNCE): Hedge Funds Keep Heading Elsewhere Is Vitamin Shoppe Inc (VSI) Going to Burn These Hedge Funds? Helen of Troy Limited (HELE): 73% Surge in Smart Money Ownership; What’... Should You Get Out of UniFirst Corp (UNF) Now? Hedge Funds Are.